SALT LAKE CITY – If Greg Herenda makes it to the Final Four this April with his Fairleigh Dickinson Knights it would be … well, it would be a damned miracle, OK? Not just a 16-seed-over-No.-1 miracle. An Our-Lady-of-Akita miracle – five times over. It would also be Heartbreak Hotel and Convention Center for anybody with a Gonzaga thread in their closet, naturally. As a top seed in the NCAA tournament, the Bulldogs have their own Final Four aspirations. Thursday’s 1-vs.-16 tango with FDU here at Vivint Smart Home Arena is GU’s first spin around the floor in the Big Dance, and like the rest of the West Region bracket fraught with much black-cloud imagery, omens and history for all the worriers. But the Zags don’t need a miracle to get to Minneapolis. The Knights do. Good thing Greg Herenda’s in the miracle business. He actually seems to court it. Not quite a year ago, he felt like even a longer shot. He was in Metropolitan Methodist Hospital in San Antonio with a 104.5-degree temperature, lying on a bed of ice while doctors tried to solve his fever and the two blood clots which had lodged in his thigh and abdomen. This was at last year’s Final Four, a trip he makes each year with his wife Jill and son Trey to celebrate his April 2 birthday. But when Heredia found it difficult to walk more than 100 yards along the Riverwalk, he was driven to the hospital. He didn’t leave for 15 days – eight of those in intensive care. And he thought about his team. “If I’m going to ask them in a TV timeout to really gut it out and give everything you have, that’s what I had to do,” Herenda said. “I had the 104.5 fever with the blood clots and they didn’t know – it was sepsis – why the fever came. They put me on a bed of ice. I went from 104 – it was like a timeout – 104, 103 and then as soon as you get to 98, they take the ice off you. And you know what happens? It shoots back up. (It’s like) they make another 3 ball. When he was able to return home to New Jersey, Herenda made his gradual steps in recovery from bed to wheelchair, walker to cane. The implausibility and joy come easily in the retelling. In real time, things were considerably more somber. 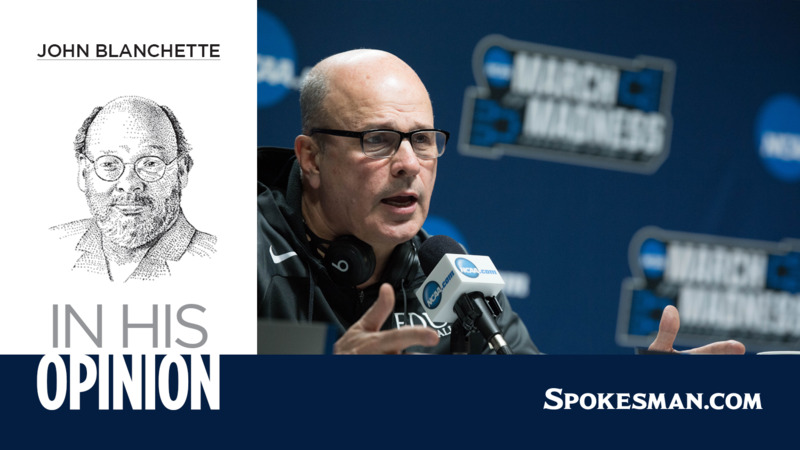 The 16 seeds – and 15s and 14s – are March Madness royalty in their own way, and even beyond Herenda’s harrowing Final Four experience, he’s a character you root for. Raspy, fast-talking, self-deprecating, fun. After the Knights knocked off Prairie View A&M in Tuesday’s First Four game in Dayton, Ohio, someone captured video of him announcing to a crowd of FDU fans that he’d pay for their dinners. And after his team landed in Salt Lake City about 1 a.m. Wednesday, he was stunned come morning light to pull his hotel drapes open to a vista of the snowy Wasatch Mountains. And talk about a dues-payer. He spent 20 years as a college assistant and now 13 as a head coach – at a community college, Division III and II schools and the past six at FDU. So the Knights are hot and good, and have the same puncher’s chance that Maryland-Baltimore County did when it made 16-seed history last year by knocking off Virginia. And dreams are where miracles start. Published: March 20, 2019, 8:04 p.m. Updated: March 21, 2019, 9:53 a.m.